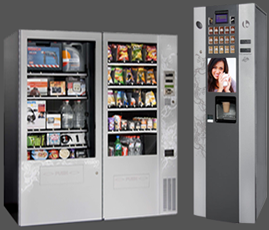 Gr Vending provides vending solutions for automatic sales of products to all kinds of hotels, villas, apartments, bungalows and studios, adjusting its vending machines to their needs. 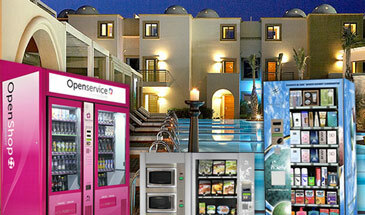 Our machines can be customized based on a wide range of options, providing products for the staff and hotel guests. They have the ability to sell products 24 hours a day and offer the option of card readers (card payment system) to allow customers to buy the products they want without cash, as the cost goes to the account of their rooms. 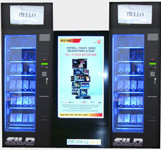 The vending machines Vision, with the EasyFlex system, can be adapted to any size, and each of them can be “dressed” in any color and design to suit the hotel’s area. The sales of tobacco and cigarettes are free with some recommended prices because on the cigarettes vending machines the sales prices are higher for a greater profit. All vending machines come with the latest CPU technology, easy programming system and the ability to communicate with customers through easy and understandable instructions. They can provide the staff and customers of the hotel a wide range of products like food, snacks, drinks, soft drinks, cigarettes, tobacco, gifts, cosmetics, clothing and many other, 24 hours a day, 7 days a week.